This is a new favourite Dubai destination for adventurous kids with loads of fun guaranty! We had a great time at Aventura, 35 000 square meters Ghaf tree forest in Mushrif Park. Aventura is an adventure park in the heart of nature that teaches kids love and respect for nature, while engaging in fun exhilarating challenges. 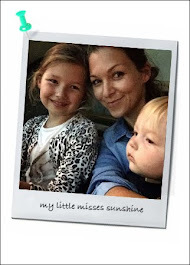 We spend one fantastic afternoon celebrating Luella’s 9th birthday! Aventura offers different fun and challenging circuits with different level of activities depending on age and height of the participants. There is about 80 challenges within 5 different levels always off the ground and between trees. I loved seeing the children working different skills and building their confidence. It takes a little practice but the coaches around the circuits are great at directing and teaching the kids autonomy and problem solving. 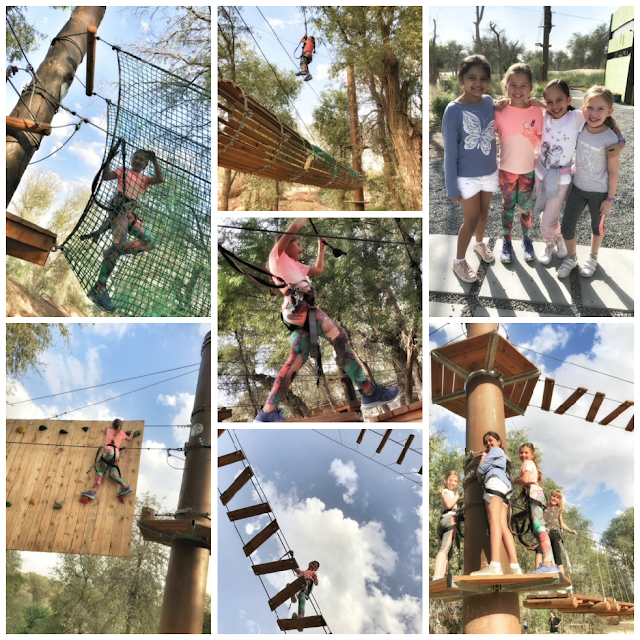 The adventure park brings a unique experience that challenge physical abilities but also brings hours of fun and exhilaration. After about 20 minutes of technical briefing, the little adventurers are off to explore and conquer the longest series of thrilling tree-top zip-lines in the region. There is plenty to do like navigate through high rope obstacles, nets and wobbly bridges. Little Ranger circuits (with 19 challenges) is designed for young children (115 cm and above) The Thriller circuit and Aventura circuit are design for adults and children 140 cm and above with lots of fun challenges and exhilarating zip-lines to surf through the tress. More details on age group and park circuits here. All Aventura games and challenges are 100% safe. The entire park is developed and audited to meet special safety regulations, and is constantly monitored by professionally trained staff. When I met the man behind the project, I realized the passion and dedication behind the park. 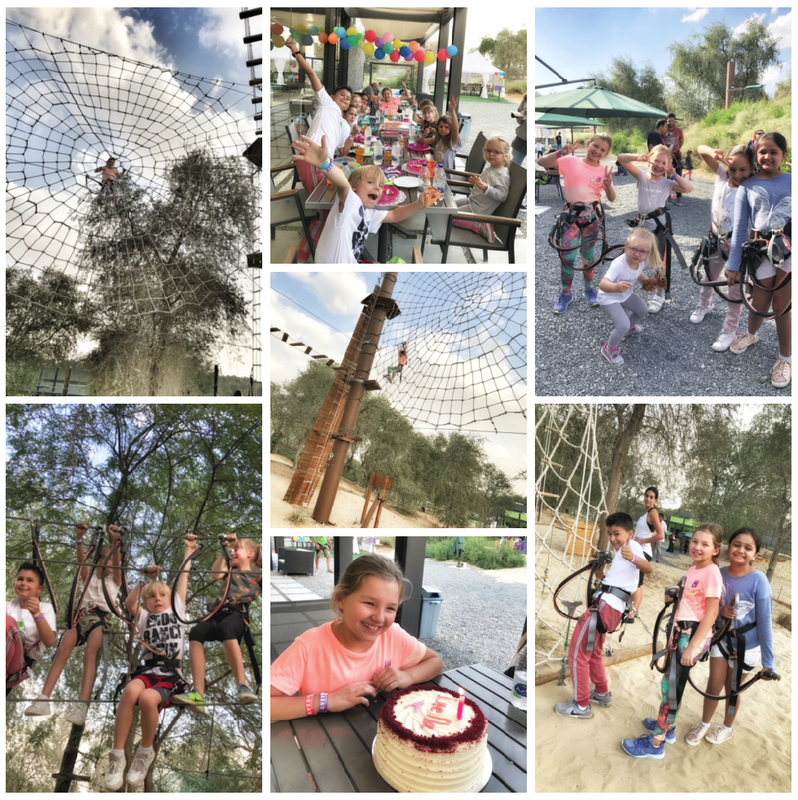 It’s a great combination of educational fun learning about the flora and fauna of the Emirates, practicing coordination, balance, independence, observational skills and just plain fun, all in the nature. Definitely what kids need! Aventura was the perfect choice for Luella's surprise birthday party. Our group ranged from children 7 to 9 years old. (I would recommend the attractions for kids age 7 and above.) Everyone had fun and managed the Little Ranger circuit after a little practice run. Three of the children above 140cm tried out the Thriller circuit for extra challenge. After nearly two hours up in the trees on exploration mode, the children were ready for pizza and cake! Aventura can set up table, balloon decoration and provide pizza as part of the birthday package. There is an indoor café and large terrace for the convenience of the guests. It felt very easy and friendly. It's definitely a fantastic destination for kids to play and have some exhilarating fun outdoor! They also have an education nature-based programs, that can be extended to the classroom, designed to enrich each student’s knowledge of flora/fauna, outdoor survival and cooperation through games. Also team building & leadership development programs are available for secondary students, staff, faculty and administration, and are conducted on high-rope and low- rope installations in the midst of nature. Aventura has a lot to offer! For me getting the kids active outside while the Dubai weather is gorgeous, seeing their confidence growing while having fun is key - best play date! This winter break get the kids to Mushrif park and give a try to Aventura. Have fun! Access for children under 1.4 metres is Dhs125. Aventura, Mushrif Park, Mirdif, Dubai. Sun to Thu, 9.30am to 50pm, Fri to Sat 9.30am to 6pm.